The residential programs at Advanced Recovery Systems centers are designed to promote health, wellness and recovery in an environment that appeals to the senses as well as the spirit. Living at our centers full-time means our clients have the opportunity to focus their attention on recovery while reaping the benefits of intensive therapy. Men and women aged 18 and older who participate in residential treatment are offered the highest level of evidence-based care. Our multidisciplinary team addresses the physical, psychological and spiritual needs of our clients through a combination of trusted, clinically proven therapies. Case managers and discharge planners work with our clients to maintain stability in their personal and financial lives while they undergo treatment. Residential treatment offers numerous advantages to individuals in recovery; however, national statistics show that these programs are under-utilized. The Surgeon General’s Report on Alcohol, Drugs and Health reported that only one in 10 individuals received rehabilitation treatment for their substance use disorder in 2015. 24-hour monitoring: Our clients are supervised around the clock by nurses, health techs and other trained professionals to ensure their comfort and safety during this sensitive phase of recovery. A healing environment: Many of our clients have suffered physical, mental and emotional damage as a result of substance abuse or an eating disorder. The healing atmosphere at our residential facilities replaces chaos with serenity and stability. Nutritional counseling, fitness therapy and comfortable accommodations nurture the body and spirit. A supportive community: Residents at our treatment centers are surrounded by highly qualified professionals who are dedicated to empowering them in recovery. In addition, clients form meaningful and healthy friendships with other individuals who have similar goals and challenges. Progressive pharmacotherapy: Medication-assisted treatment can be an important counterpart to intensive cognitive behavioral therapy. At a residential treatment center, clients are carefully evaluated to determine whether they might benefit from pharmaceutical treatment for addiction, depression, anxiety or other complex conditions. Because staff members work so closely with residential clients, they are able to manage the effectiveness of medications, encourage compliance and adjust dosing appropriately. A chance to focus on recovery: The work of recovery can be intense and demanding. Residential recovery offers clients a chance to temporarily leave their stresses and obligations behind so they can devote their full attention to therapy. For many of our clients, this respite from their everyday lives is a vital component of healing. In residential treatment programs, clients have a full daily schedule of therapy, activities and meetings along with healthy meals and rest periods. The structure and stability of this routine help restore the mind and body to a healthy state. At ARS, we believe in making world-class residential treatment as accessible as possible. Our recovery services are reasonably priced, and we accept most types of insurance. Our facilities are conveniently located near major sources of transportation, recreational areas and cultural centers. Orlando Recovery Center: This 93-bed facility within the city of Orlando is dedicated to 24-hour detox services, eating-disorder therapy and co-occurring disorders. On the shores of Lake Ellenor, our clients are able to enjoy the outdoors and participate in recreational activities while they recover. Next Generation Village: This residential facility in the bucolic town of Sebring, Florida, is designed specifically for teens aged 13 to 17. With the support of doctors, therapists and nutritionists, your teen can focus on sobriety and find confidence in a healthy life. Next Step Village: Our residential recovery facilities in Eustis, Florida, and Orlando provide a full range of integrated services in a semi-flexible environment that promotes wellness and autonomy. Next Step Village specializes in helping our clients successfully make the transition from rehab back to the community. The facility provides transitional accommodations and therapeutic aftercare services. The Recovery Village Palmer Lake: Located just outside Colorado Springs, this residential care facility houses 58 clients during their recovery. Top-class amenities are offered here, including yoga, fitness therapy and hiking trails. The Recovery Village at Palmer Lake offers treatment for PTSD and other co-occurring mental health disorders. The Recovery Village Ridgefield: The green foothills of Washington state are the backdrop for the Recovery Village Ridgefield, just a short drive from Portland or Vancouver. Residential treatment includes individual and group therapy sessions, structured activities and space to enjoy nature in solitude. 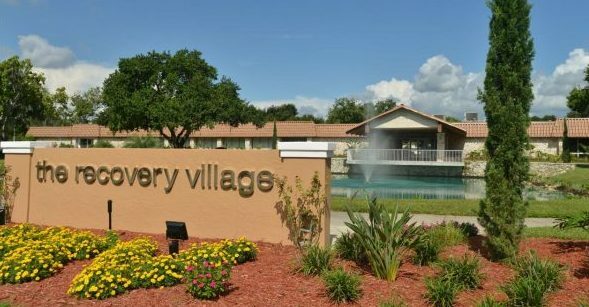 The Recovery Village Umatilla: Located on a private, rural campus in Umatilla, Florida, the Recovery Village specializes in providing residential programs for the treatment of substance abuse, eating disorders and substance abuse combined with co-occurring mental-health disorders. By promoting health and wellness at all levels, clients will feel the healing effects of treatment and create lasting relationships that will help them throughout recovery. Our residential treatment centers are part of a full continuum of recovery services. For most of our clients, treatment begins with a period of detoxification. Once they are medically stable and feel rested and mentally alert, clients are ready to make the transition to a residential program. Individual and group therapy: Using evidence-based modalities such as cognitive behavioral therapy and dialectical behavior therapy, our mental health professionals help our clients learn how to cope with stress, regulate their emotions and manage anger. In group therapy sessions, clients have the opportunity to practice these coping skills with their peers. Medication management: At ARS, we draw from a full array of integrated treatment therapies, including the use of prescription medications that support our clients in their efforts to overcome addiction. These medications, including naltrexone (Vivitrol) and buprenorphine (Suboxone), can help to reduce the symptoms of withdrawal and minimize cravings. Nutritional support: Good nutrition is the foundation for good health. ARS facilities place a strong emphasis on the importance of restoring physical energy and mental clarity through a balanced diet. Our staff includes credentialed nutritionists and dietitians who specialize in recovery from substance abuse and eating disorders. Experiential therapies: Many people in recovery discover that once they stop using drugs and alcohol, they have difficulty finding pleasure in sober activities. Experiential therapies help our clients rediscover the joy of self-expression, movement and creativity. Through activities such as exercise, recreational therapy, music, dance or art, clients find healthy outlets for painful emotions. Holistic therapies such as yoga, meditation and massage provide positive ways to manage stress and achieve overall healing. Life-skills classes: Addiction can leave a trail of chaos in its wake. Individuals recovering from substance abuse can often benefit from training in practical skills such as money management and job hunting. Our life-skills classes prepare clients to re-enter the community and rebuild their lives on a more solid, stable foundation. Relapse prevention planning: Relapse is very common in recovery; in fact, 40 to 60 percent of people will experience a relapse after leaving rehab. But that doesn’t mean rehab didn’t work. Relapse prevention planning prepares the client to deal with triggers and stresses of everyday living in order to minimize the chances of a relapse. Clients are taught to build a strong support network and to get in touch with their treatment team if a relapse does occur. Residential treatment can open the door to a fulfilling, meaningful life. To help our clients meet this goal, our residential programs draw from the latest evidence-based therapies. In residential treatment, clients maintain close contact with their treatment team, working with staff on a daily basis. Our staffs comprise therapists, counselors, nurses, nutritionists and dietitians, case managers and holistic therapists. Physicians and psychiatrists prescribe and monitor treatment programs and guide the activities of the team. Together, these professionals form a strong, stable network that continues to sustain our clients long after they advance to the next phase in their recovery. Recent research studies have shown that longer stays at residential treatment facilities may produce better outcomes. According to the National Institute on Drug Abuse, treatment as long as 90 to 120 days may be the most effective length of care. At ARS, we believe that the length of stay in treatment should be determined by the client, not by externally imposed guidelines. In particular, clients with co-occurring disorders or complex conditions may need longer periods in treatment in order to fully address their needs. Throughout the course of treatment, we continually monitor and assess the individual’s progress, revising the client’s specialized treatment program as necessary. Effective treatment must begin with a comprehensive assessment and evaluation. 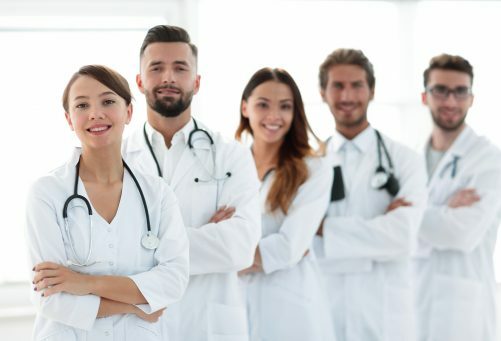 Before recommending a course of treatment, all potential clients are carefully evaluated by credentialed professionals. To find out whether residential treatment is right for you or for someone you care about, call the intake counselors at one of our treatment facilities. Our admissions specialists are here to answer your questions and provide the support you need to start your recovery journey today.